Now...the story about Mt Penteli I have promised to send. All the information here is facts that I have doublecrossed before...also the sources are reliable. Mt Penteli is located in a small distance (about 15 km) Northeast off the center of Athens. It is the same mountain that ancient Athenians took the marble to built Parthenon and Akropolis...in fact all the mountain is made from marble. Almost in the middle of Penteli and in the place that the ancient marble quarry is located, is a huge cave named Ntavelis' Cave. The name of the cave came from the name of Ntavelis a great and wellknown Greek outlaw of the 19th century who used to hide there. Inside the cave are the entries of an underground tunell system. One of them leads into a big underground hall with a small lake and an very ancient temple dedicated to ancient God Pan. Pan is one of the primitive Greek Gods...he is coming from Newstone age. He is half man and half he-goat (is that reminds you anything?) and he was the protector of shepherds but and a forest demon too. Some others of the tunells is said to lead in a long distances and have exits in other spots of Attika...there are a lot stories about this but I haven't had any strong confirmations. This incident first came to the public in the late '60s or early '70s. 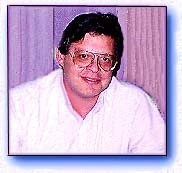 George Balanos, a well known UFO researcher and author of many books organized a team to investigate all the strange stories about Mt. Penteli and the Ntavelis' Cave. The results of this investigation are astonishing. They started by collecting all the folk lore stories about the area and realized that there was hundreds of reports from local people about "strange lights" in the sky, small humanoids, strange noices, ghosts, etc. When they made measurements in the cave area, they found stong abnormalities in the magnetic field, a strong smell of ozon in the entrance, and dificulties to take pictures in some areas of the cave. They also noticed a strong loose of electrical power. They continued the research for many years but ten years later....the Air Force came into play. They closed...or tried to close ...the area to build a huge tunnel system around the cave and connect the cave from within as a part of this tunnel. The oficial explanation was, and still is, that the whole tunnel system is a part of a NATO project. Anyway, after some years they stoped building the tunnel system...it is still deserted there ... and the Air Force people left the area. During this period there were a lot of reports from workers about strange phenomena, UFOs, a strange green glow appearing at night, etc. It is confirmed that a number of workers died after some years, all from the same cause: Cancer! The strange thing about this is that inside the artificial tunnels George Balanos found a big number of empty boxes of anticancer medicines. I have seen this boxes myself. It is like the place took revenge over the "intruders". After 1985, Ntavelis' Cave became very famous among New Age clubs as a point of power. They have meetings there still today and they use the cave as a place of concetration and thought. Even some Black Magic groups use the cave for ceremonies. I did an extensive research upon this in 1990 for TV Station "ANTENA". All the places around the cave are full of magical signs and sometimes I found remains of animal sacrifices! It is also reported that a lot of people are disapearing during visits to the cave although the cave itself doesn't vindicate for these disapearances. George Balanos believes that the cave is propably an entrance to another dimension...a kind of gate or something like this. He is continuing his investigations into the cave till today and we are in contact all the time...so if something new pops up I'll share it with you. I visit this place often and the strange thing is that I have a feeling every time - believe me it is a strong feeling inside me - that this place is constantly changing in front of me. I can't find something in particular but there are some small details that change. Can you explain this to me please?